Home / Tekk Tip / Tekk Tip: Difference between PrtScn and Alt PrtScr. Tekk Tip: Difference between PrtScn and Alt PrtScr. Hello my subjects. While working on this blog I discovered a very useful tip that I thought everyone should know. 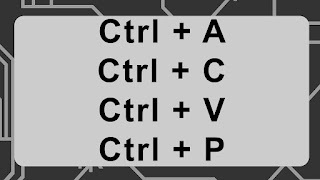 There is a major difference between hitting the PrtScn button and holding down Alt and then hitting the PrtScn button on your keyboard. I was always told that when you want to take a screenshot that you need to do Alt PrtScn. Turns out that that combination only captures your active window. Just pressing PrtScn captures your whole screen. Didn't know that before and it frustrated me so I though I would share it here.